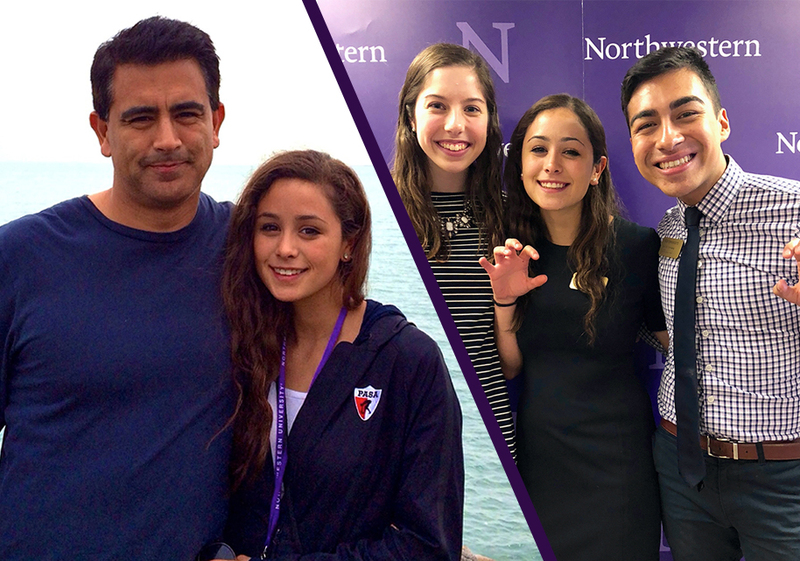 Northwestern’s Admitted Student Days (more commonly referred to as “Wildcat Days”) were this past month and admitted students from across the country and around the world visited campus to experience what life as a Northwestern student is like. As a current senior admissions counselor, I helped facilitate the activities and interacted with potential new students and their families. Many of the admitted students were in a very similar position to myself just four years ago – undecided and unsure. When I received my acceptance letter to Northwestern in March of 2014, I was ecstatic. I knew Northwestern was a great school with strong athletics and a robust student community. However, I knew little of the specific nuances that make Northwestern so special and was nervous of leaving California for a school in the Midwest. I arrived at Wildcat Days a little apprehensive, eager to learn, and one of the few students in shorts on a cloudy April morning. Despite the horrified look on my mom’s face at my choice of attire given the chilly weather, my experience at Wildcat Days 2014 was incredibly positive. I sat with an admissions director at lunch that I now have the pleasure of working with who answered a lot of the questions I had about the University as a whole. Roaming through the activities fair, I spoke with numerous current students whose passion for their extra curriculars made me excited to be a part of the Northwestern community. Finally, attending a panel with staff and students whose academic and professional experiences directly related to my aspirations sold me on the school. I submitted my deposit to Northwestern that night. Talking to admitted students at Wildcat Days 2018, though oddly surreal, was a great way to reflect on how Northwestern has served me in ways I both could and could not have foreseen. Sure our academics are great and students do amazing things after graduating. As I saw through my Wildcat Days experience, there are lots of student organizations to get involved with on campus. What I was not able to accurately predict, however, was the high quality of individuals I would have the pleasure to meet, live with, and become life-long friends. Thus, I did my best to emphasize to prospective students the degree to which their fellow classmates will support, challenge, and change them for the better. The community here is, at its core, as vibrant as the students that end up saying yes to Northwestern. I am constantly surrounded by motivated, talented, and caring individuals who push me to be a better version of myself. And to every prospective student out there, it is these people you have yet to meet who will shape your college experience more so than any course or club. My hope is that regardless of the university you ultimately attend, you are able to find a community as vibrant as the one I have found at Northwestern.